Our popular organic Lincoln Theatre Popcorn comes from our good friends at the Skagit Valley Food Co-op. Eat it plain or enjoy it drizzled with hot REAL butter and sprinkled with any of our dry seasonings from simple garlic salt to bacon cheddar. Enjoy a wide selection of candy, cookies, brownies, and Seattle Chocolates. 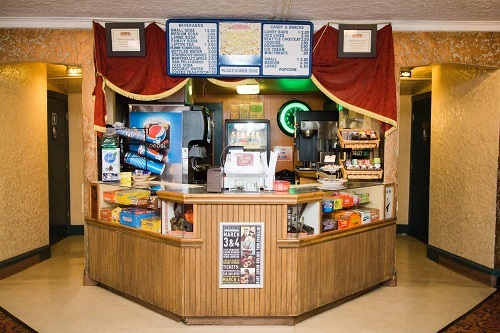 Our concession stand also offers a wide variety of beverage choices including soda, coffee, hot chocolate, coconut water, and more! The Lincoln Art Bar features a different local artist each month. Art is available to view and purchase during box office hours, before and during live events and films, and during the Mount Vernon Downtown Assosications first Thursday art walk each month. 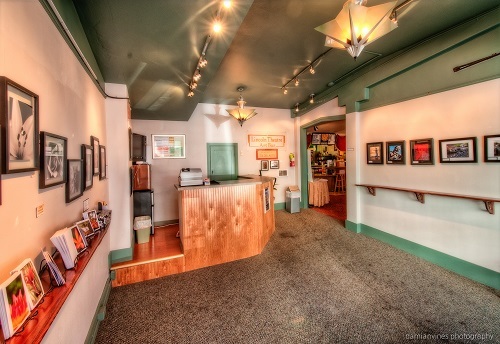 The Lincoln Art Bar is open 45 minutes before films and live events at the Lincoln as well as during intermission. The Art Bar is currently serving two great wine options from the local Dynasty Cellars located in Bellingham, WA. We proudly serve a rotating tap featuring local and regional brewerys involved in our annual BrewFest on the Skagit. The Lincoln Theatre is proud to serve locally made Trade Eights Cocktails as a part of our Art Bar experience.